(Titanium) and the shafts (graphite). because they are being taught to hit the ball as hard as they can. to focus on hitting the ball in the "sweet spot" or it went no where. 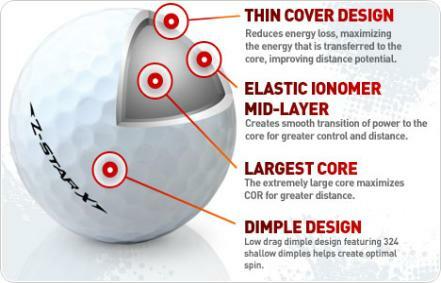 ball for spin, launch, and ball speed with some of these awesome new balls. TIP: There is an art to hitting the modern driver. Due to the size of the head it must be hit on the upswing. 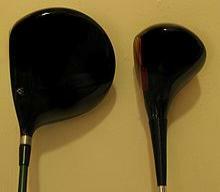 maximum compression on the modern driver is relatively high on the face. 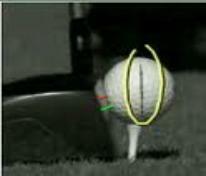 This is because the center of gravity is much higher that a fairway wood. MORE DISTANCE PLEASE! This has been the request of every student that I see. The good news is that there are some relatively easy ways to pick up some extra yards. about increasing your club head speed. yards. This is a realistic goal and it can be achieved in a relatively short period of time (30 days). 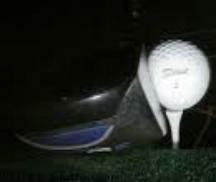 are Swing Mechanics, Golf Specific Fitness, and Equipment. Ball and see how they can help you. How equipment can affect your distance. and swinging the grip end will force you to lighten your hands and get a feel for swinging. This is vital. play a ball designed for 70 mph. and also the Bridgestone Ball. I do have them in the Academy. maximize your distance. You won't need to break a sweat or hit the range to check out these two keys. possible, but it will require all three keys: Equipment, Technique, and Fitness. Great golfing to you in 2011.